1972 Ferrari 365 GTC4 - When I was a kid I had a picture of one of these on my bedroom wall. At the time I thought it was one of the most beautiful cars ever made. I still do. I don't know enough about Ferraris to say whether the $70K asking price for this car is good or not. The seller admits that it needs some work. Work on a Ferrari is NEVER cheap. Every now and then I'll see one of these cars in nice condition sell for $100K plus, so, I guess, if you have some Ferrari knowledge, this could be a bargain. Again, I have no idea. I'm posting this because it's such a great car to look at. Pininfarina and Ferrari got it right, very right, in my eyes. Located in Haslet, TX, click here to see the ad. 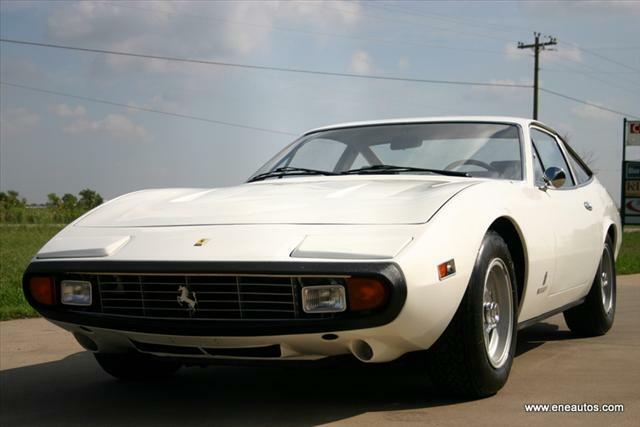 Click here to find a website dedicated to the Ferrari 365 GTC/4. It contains a lot of great pictures, info, and a wave file of a 365 GCT/4 going through the gears. 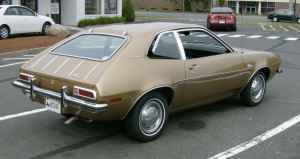 1971 Ford Pinto - After the Ferrari above, this is a rude snap back into reality. I never owned a Pinto (I can think of hundreds of other ways I'd rather die before "roasted in my own car" makes the list), but many, many people did. It's pretty easy to make fun of the Pinto. There have been thousands of articles written about the car and its flaws. Until the Yugo came along, it was usually the punchline of all automotive jokes. But, as I've said in the past, all cars are a piece of history and I respect anyone who spends the money and takes the time to restore an old car. The seller of this Pinto put a lot of time and money into this car. This running, driving, in-need-of-some-minor-repairs-to-be-perfect Pinto is being offered at about 7% of the price of the Ferrari above. How can you not respect someone who puts that much into a car of so little value? I respect this guy a lot. Restoring old cars should not be about profit, it should be about passion and pride. It shouldn't matter whether it's a Ferrari or a Pinto. Located in Glastonbury, CT, click here to see the Craigslist ad. 1980 745I Turbo - There aren't a lot of details and only 2 pictures in the ad, but the line "The car is in savable condition although it is rough. I found it in a wrecking yard ready for scrapping", caught my attention. I love hearing about cars that escape the crusher. While the seller offers no details, the car apparently runs and drives as he writes, "It has been my daily driver for awhile." 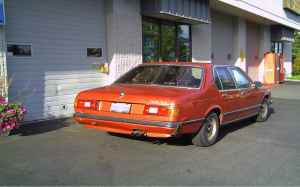 The 7 Series turbo was never officially imported into the US. This is a gray market car. It won't be easy or cheap to do, but having escaped the crusher, someone really needs to restore this car. Located in Kirkland, WA, click here to see the Craigslist ad.